Labeling party for the science crew! Submitted by K.Bylsma, C-IMAGE Teacher at Sea August 7, 2013. Off the starboard side, I saw an oil rig in the distance, all lit up ( two more platforms further out). Are they actually extracting petroleum product ? Not sure. The three platforms look awfully close together, but that could be distracting in the dark. Ninety minutes later, the sun is rising and the CTD is up and we’re sampling from the Niskin bottles again. Another batch of samples now from DSH09. We now have a reference for each of the tests that we’re running. The bongo hydraulic lines had a malfunction, so they had to be deployed twice. They take more than an hour of towing, the biomass collected needed to be within the assigned timeframe so that they can be compared to previous samples. Success! The biomass collected is then flushed with sea water to remove diatoms, copepods, etc. These particular samples have to be frozen in liquid nitrogen and scanned under the microscopes back at UM and USF. This information I learned from Kat Ternus from University of Miami. All this, and it’s only 10 am! Later. 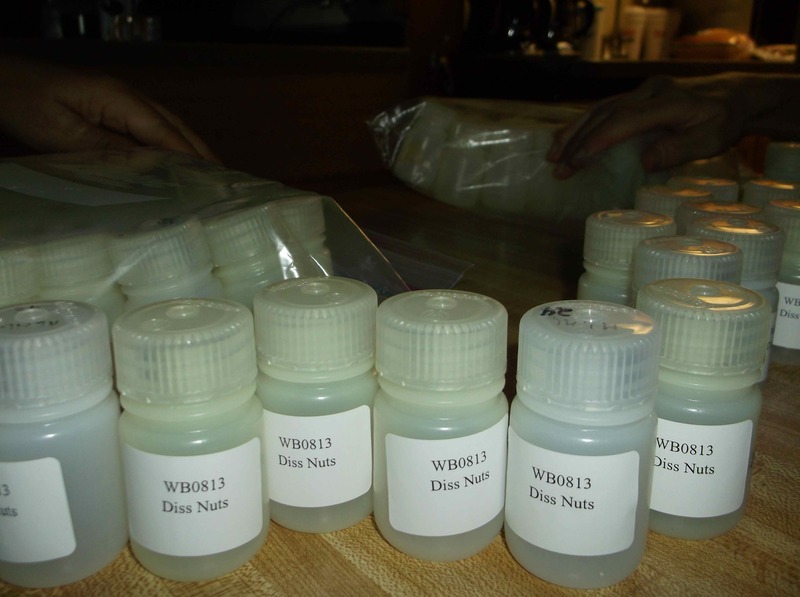 Later… We completed all water chemistry tests from both sets ( two drops of the CTD) at DSH09 by noon. 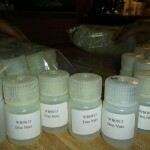 I learned how to complete another “other pigment” test that requires “fired “ filters and incubated in liquid nitrogen. Seriously? Sue is the person sharing her skills in this area as she is the chemist extraordinaire (also works at Florida Wildlife). I’ve observed incredible problem solving and flexibility skills; from equipment standpoints, scheduling, duty rotations, and sleep time, among others. When something is not as productive as it can be, you amend it. That’s the nature of science. The only non-negotiable is meals- at 600, 1200 and 1800- no exceptions. I am blessed to be surrounded by so many people who are avid learners… from such incredibly varied backgrounds- microbiology college students, European engineers, graduate volunteers who just enjoy the opportunity to put their skills to good use, and coordinators who passionately want others to experience what they are willing to share. It’s when there are INTERACTIONS between communities ( academic/ biological/ or otherwise) that TRUE learning takes place. Next deployment for today is scheduled for 16:30 at Deep Water Horizon ( DWH) Rest up! Print article This entry was posted by greely on August 7, 2013 at 1:06 pm, and is filed under Oceanic Updates. Follow any responses to this post through RSS 2.0. You can leave a response or trackback from your own site.